Give Parasites a One-Two Punch! 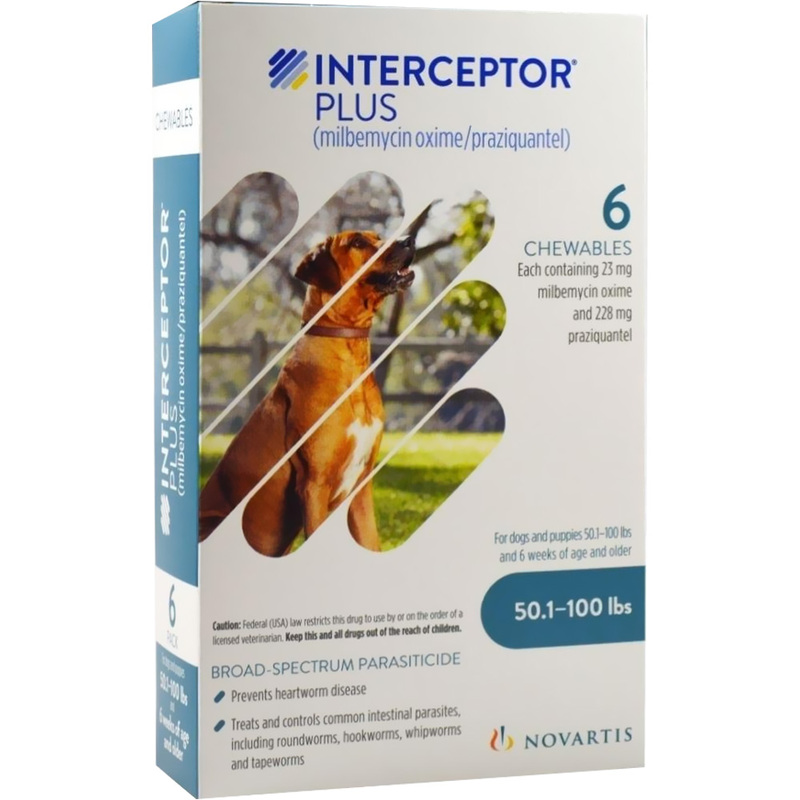 Interceptor Plus (milbemycin oxime/praziquantel) is the chewable tablet flavored with real chicken that prevents heartworm disease and treats and controls adult hookworm, roundworm, whipworm and tapeworm infections* in dogs and puppies 2 pounds of body weight or greater and 6 weeks of age and older. 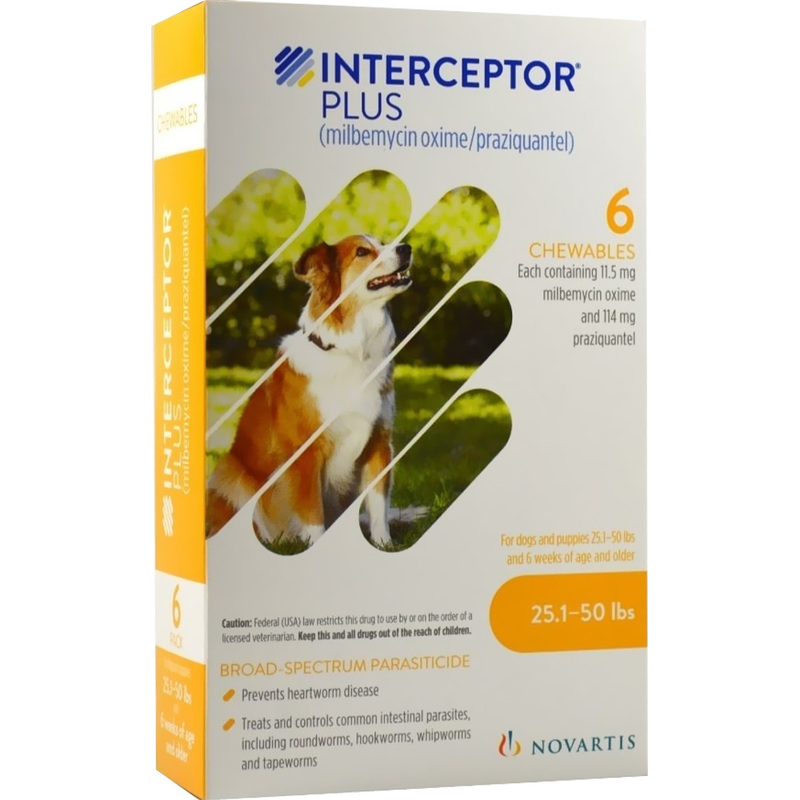 Interceptor Plus brings together two powerful active ingredients, milbemycin oxime and praziquantel, that combine for a safe and effective way to protect your dog against five types of dangerous parasites. It’s a chewable tablet that’s flavored with real chicken, so it’s easy to give to your dog. 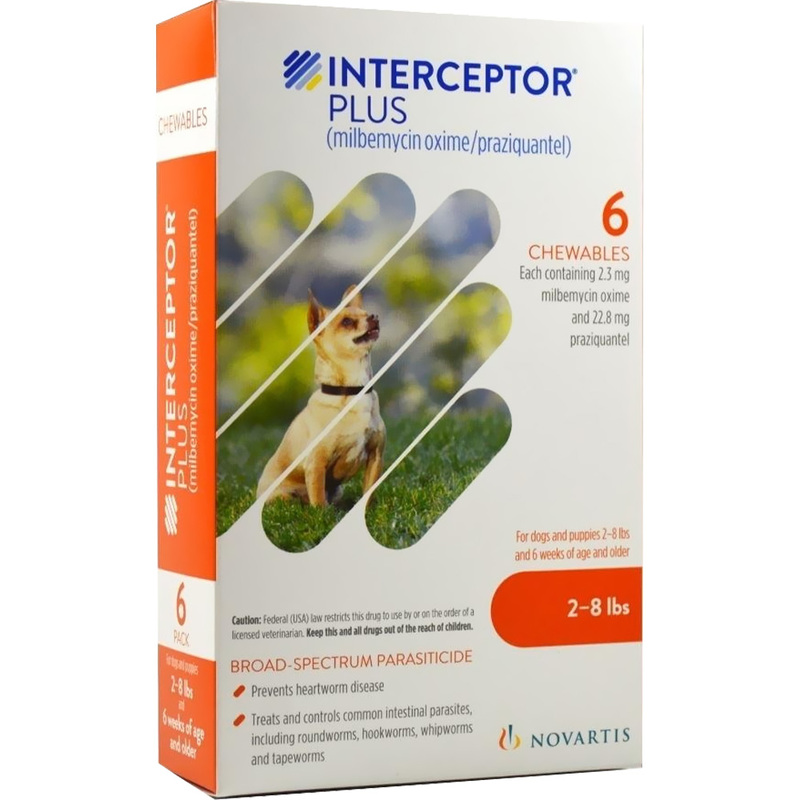 MILBEMYCIN OXIME - Veterinarians have trusted milbemycin oxime, one of the active ingredients in Interceptor Plus, for more than 25 years.1 It’s a safe way to prevent heartworm disease as well as treat and control adult hookworm, roundworm and whipworm infections in dogs. 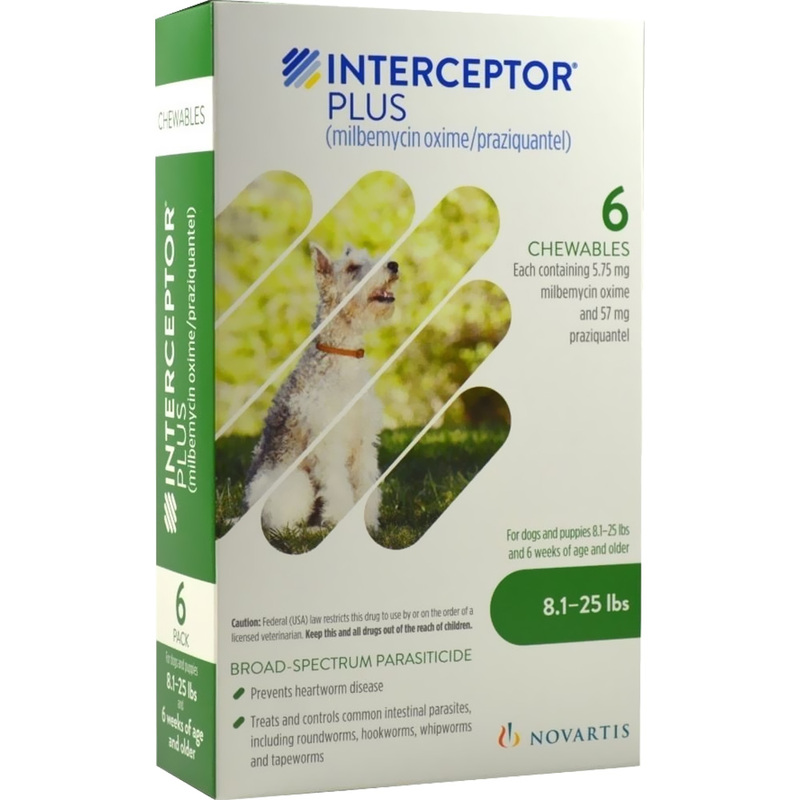 PRAZIQUANTEL - Praziquantel, the other active ingredient in Interceptor Plus, has been approved for use in dogs for the treatment of tapeworms for more than 20 years.2 Interceptor Plus demonstrated 100% efficacy in controlled studies against 3 types of adult tapeworms: Taenia pisiformis, Echinococcus multilocularis and Echinococcus granulosus.